A biodegradable synthetic lubricant for 2 strokes petrol engines in leisure craft, outboards, jet-ski, etc. * TOTAL NEPTUNA 2T BIO-JET combines protection of the environment with high performance. * TOTAL NEPTUNA 2T BIO-JET is biodegradable in natural environment. 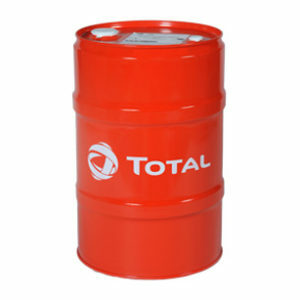 It complies with local regulation requiring this lubricant. * This lubricant is completely mixable with gasoline and produces a homogeneous and stable mixture even at low temperature. It can be used for in-line mixing. 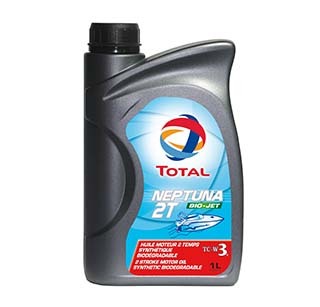 * TOTAL NEPTUNA 2T BIO-JET ensures excellent lubrication at extreme temperatures. * No exhaust smoke thanks to the complete combustion of TOTAL NEPTUNA 2T BIO-JET. Its ash-free formulation helps prevent the clogging of piston ports, avoids spark plug fouling and extends engine lifespan. 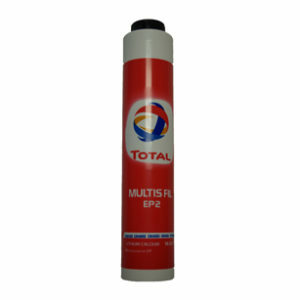 * Its anti-rust and anti-corrosion properties protect engine internal components.